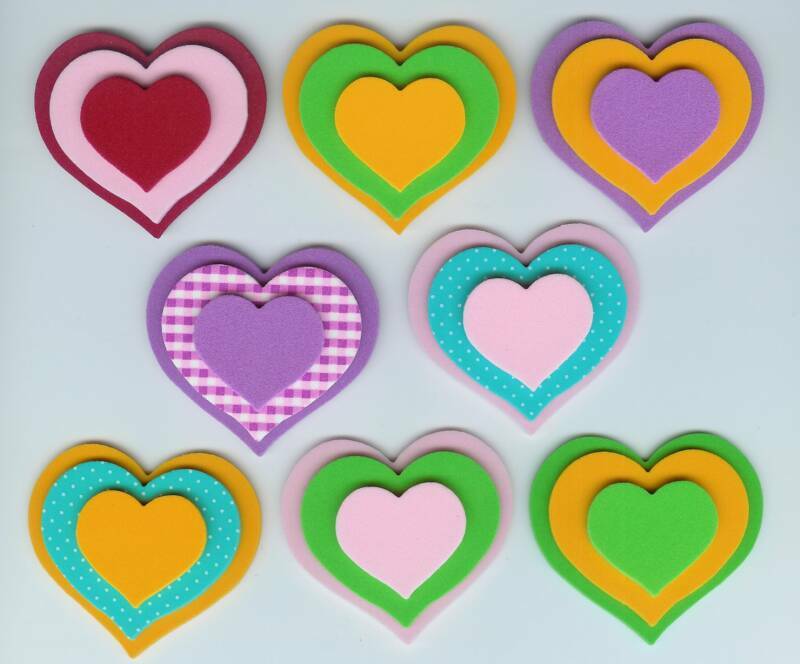 Hearts, Butterflies, Watering Cans, Presents and Small Cakes can be designed into jewelry pins, magnets, peel-n-sticks or note holders. 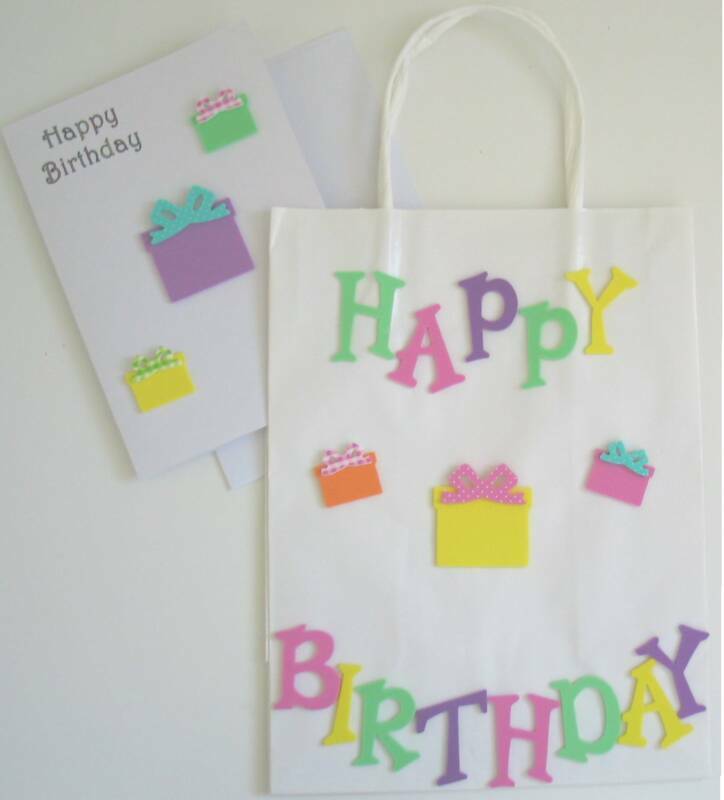 Peel-N-Sticks can be added to a greeting card, gift bag, present, etc. Many different color and pattern combinations. Embellished with rhinestones, hearts, sayings, pearls, beads and more. The pictures show only a few of the combinations. Made of foam and/or fabric. Individually packaged. 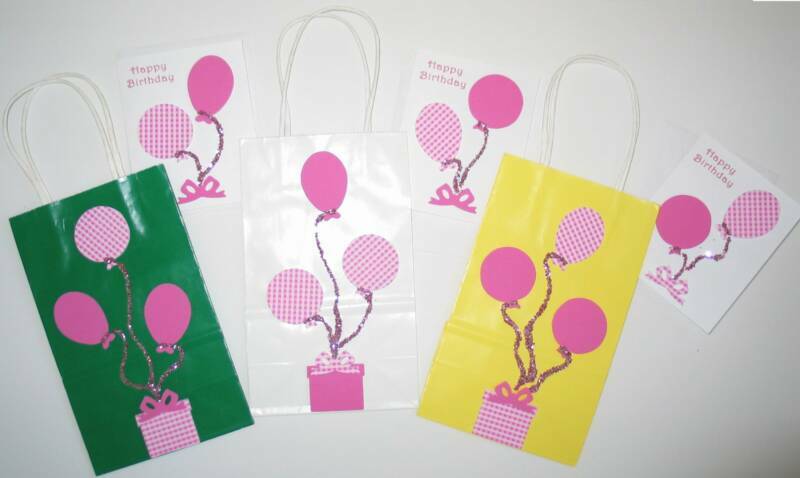 Measures 1 1/2" to 2 1/2"
Great for school or party goody bags. 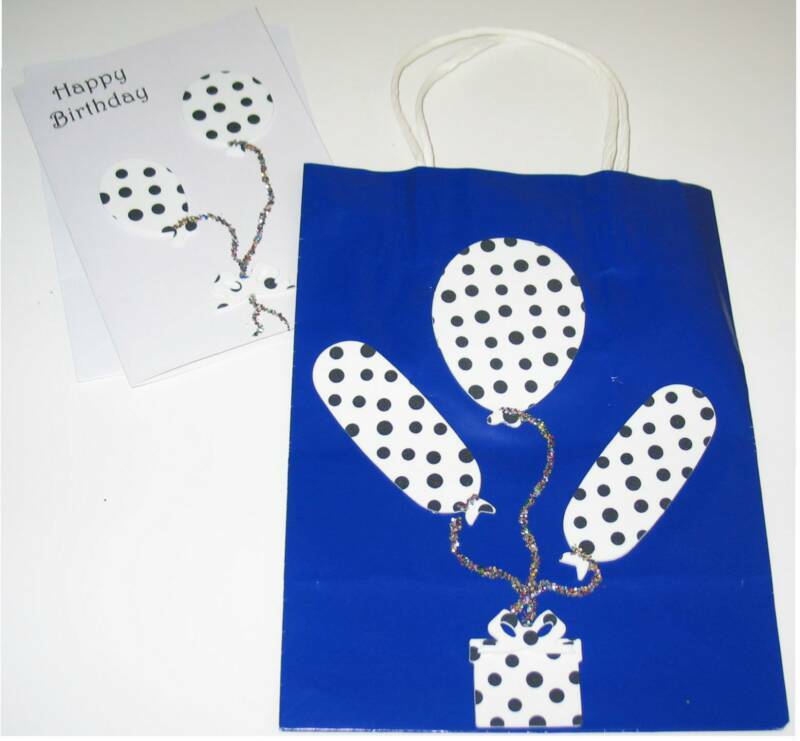 Gift Bag Set comes with 5"x 8" gift bag, matching 4"x 5" greeting card, envelope and confetti. Sets come in several difference colors and designs. 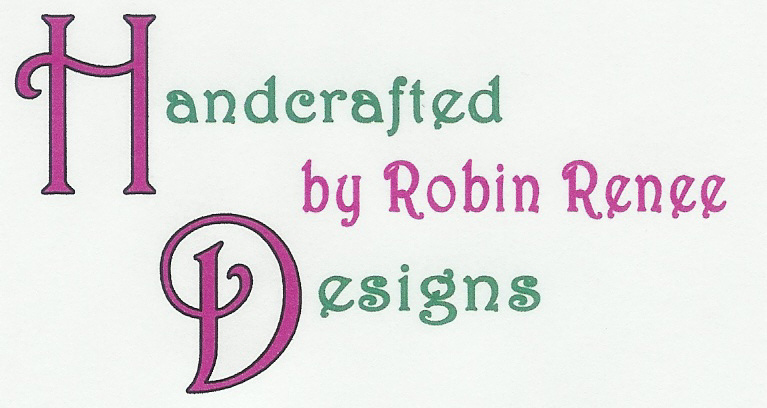 Design your own bag from the colors listed below. 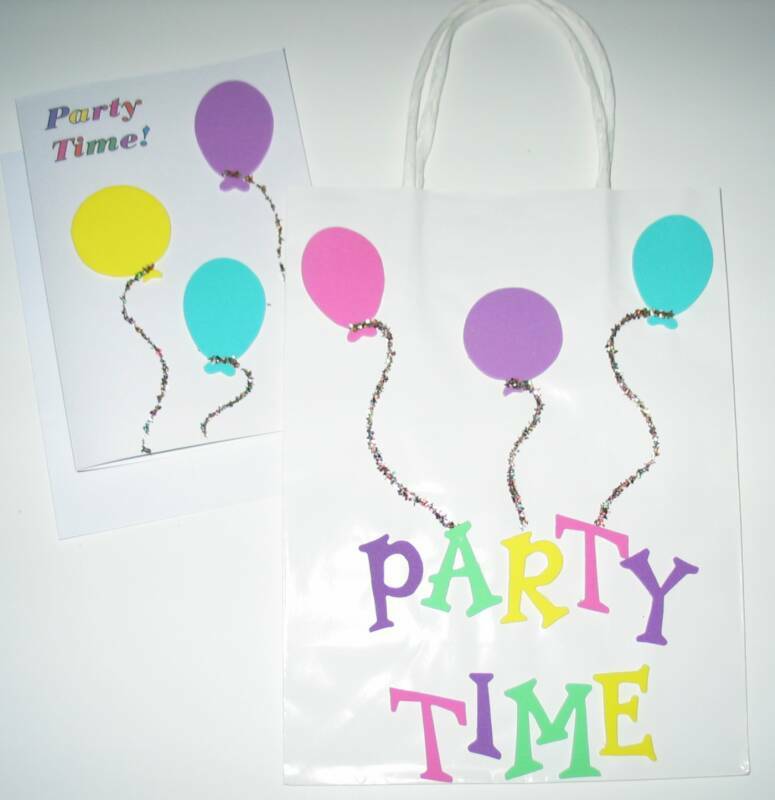 Gift Bag Set comes with 8"x 10" gift bag, matching 5"x 7" greeting card, envelope and confetti. 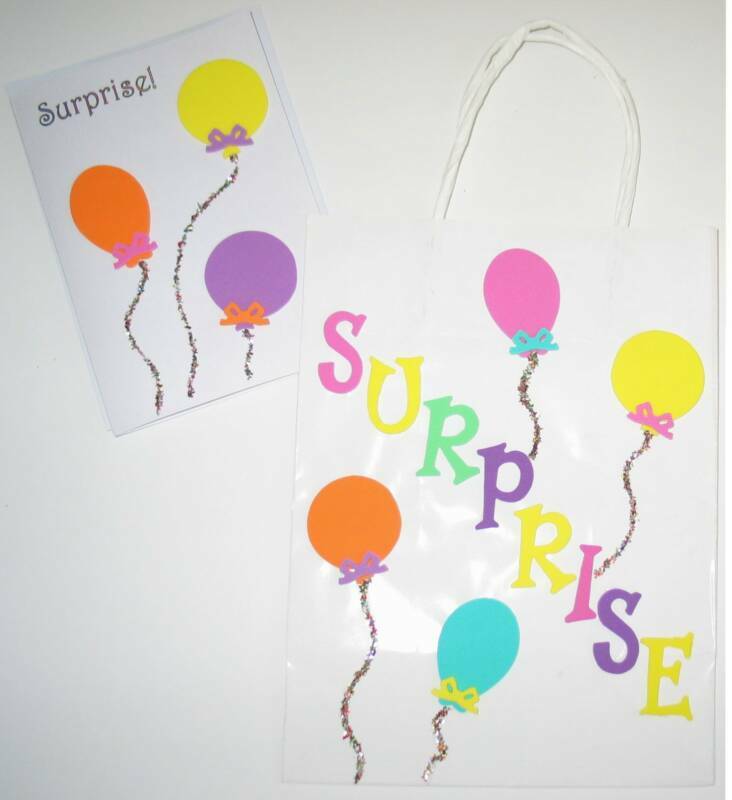 Sets come in several difference sayings, colors and designs. Design your own bag from the colors listed below. 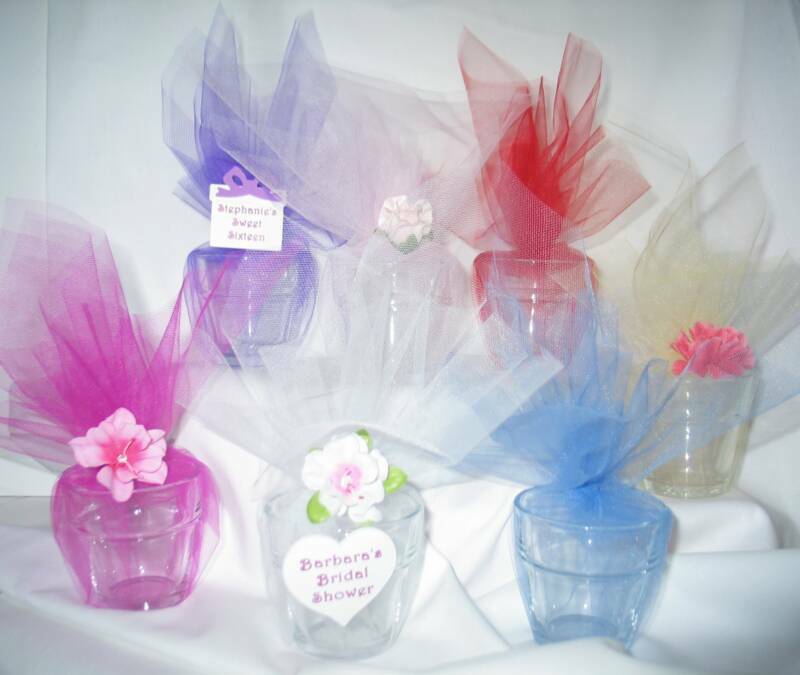 Choose from flowerpot or ruffle edge glass gel candles with a light floral scent. 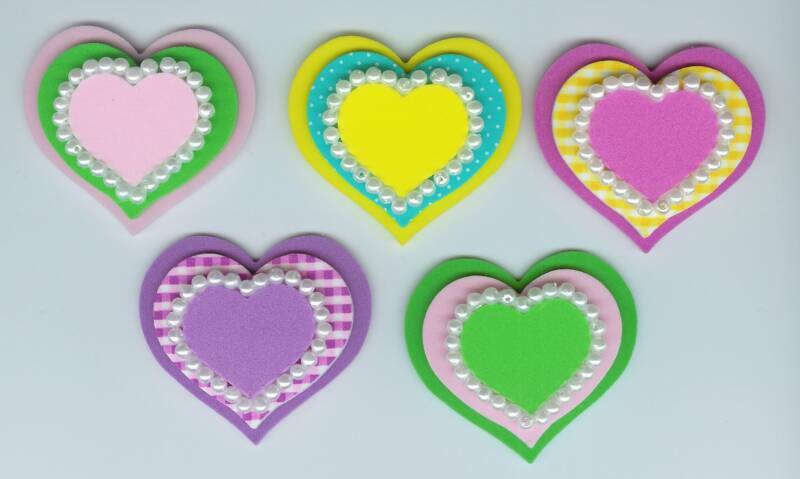 Comes in several different tulle colors and tag designs to choose from (samples shown in photo). 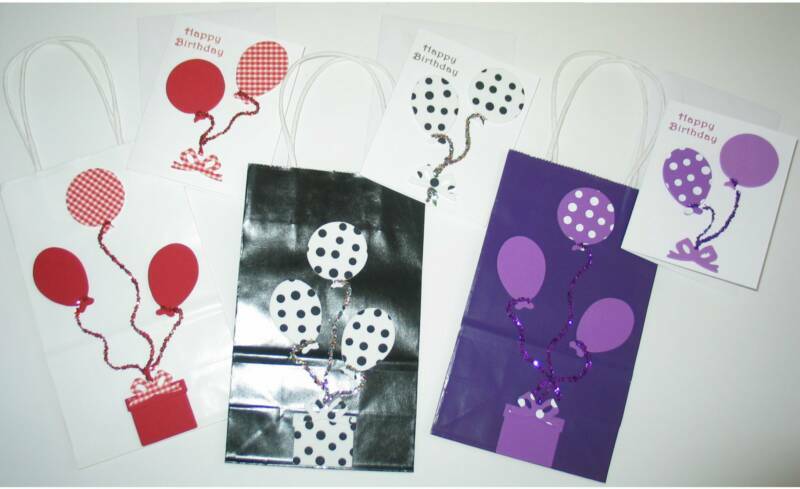 Favors also come with or without flowers, your choice. 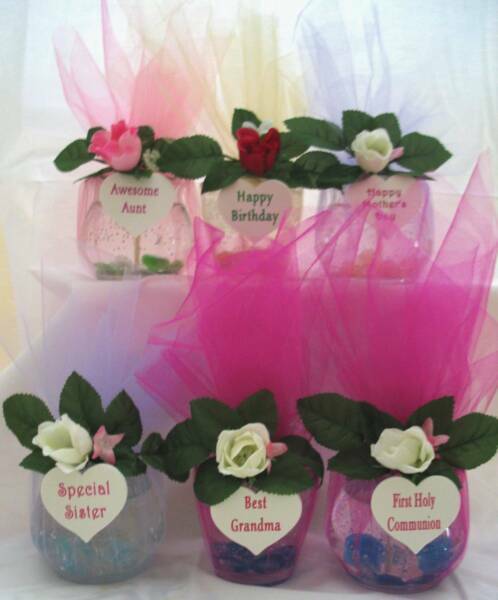 Favors can be designed for baby or bridal showers, birthday, sweet sixteen parties or other special occasions. 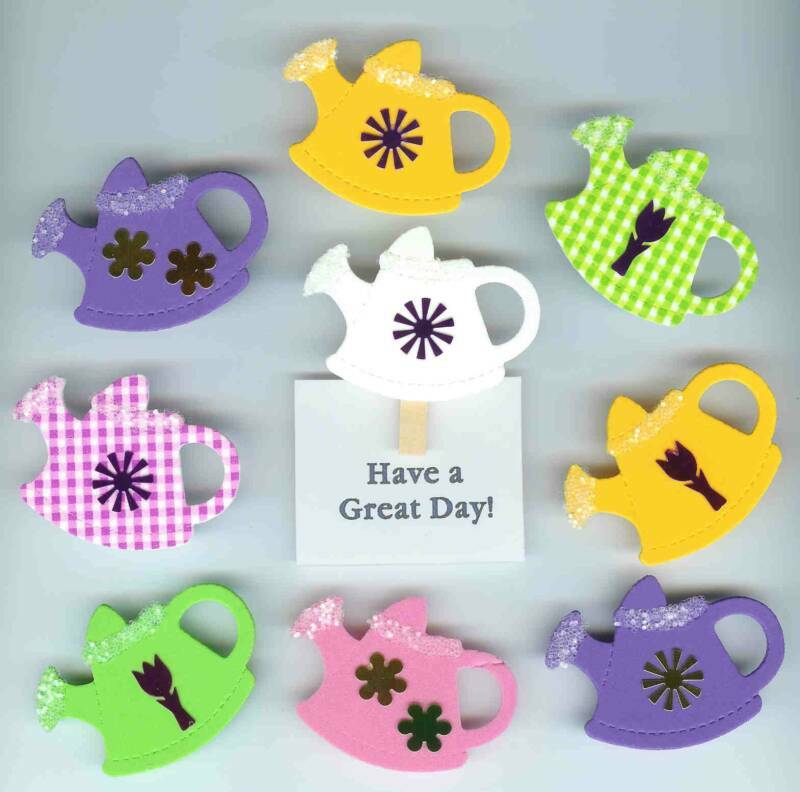 If you want, personalize it! what the tag should read. Enter all information at checkout time.